Last week we did a whirlwind trip to Bintulu and Sibu, because we were to celebrate my paternal grandma’s 80th birthday in Sibu. For clarification purposes, I come from a mixed Foochow (paternal) and Teochew (Maternal) heritage. Most of my Foochow relatives reside in Sibu, and Teochew relatives pretty much everywhere (Bintulu, Miri, Kuala Lumpur, South Australia). Anyway, because the trip was so short (2 days) we packed so much in our schedule. Mainly food. 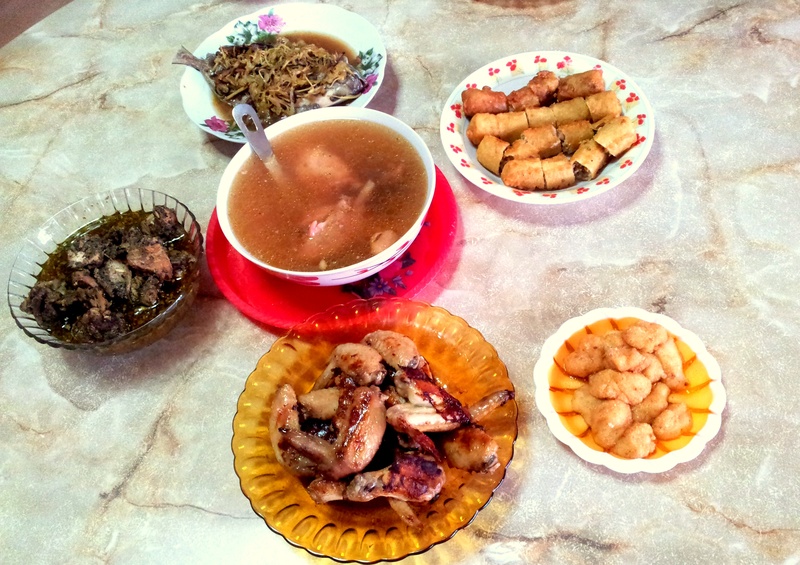 The afternoon we arrived in Bintulu we went straight to my maternal grandma’s place for lunch. And this was what she cooked up. Pretty much all our favourite dishes! Ang Jiu (Red rice wine) Chicken Soup, Spring Roll, Steamed Fish (Teochew of course), Kacangma Chicken, Chicken Wings and ‘Mua Chee’. The plate of vegetables not pictured though. This grandma is a great cook and she makes pretty much everything from scratch and in bulk. I’m always amazed by her tremendous amount of energy. Needless to say, we stuffed ourselves. To the point I couldn’t even have a proper dinner. We went on the roadtrip to Sibu the next day, but that’s after we had somemore food at Maternal Grandma’s place. I can never get sick of her Ang Jiu Chicken Soup. She makes her own Ang jiu (Foochow Red Wine) by the way eventhough she’s not Foochow (starting to get confusing yet?). I always like mixing a bit of Kacangma Chicken’s gravy in this soup to add the extra herbaceous note. Delicious. Grandma also makes the best Ang Gu Kueh. The texture is out of this world. Shame I couldn’t eat more after the bowl of noodles. I was also saving my tummy for our second breakfast. 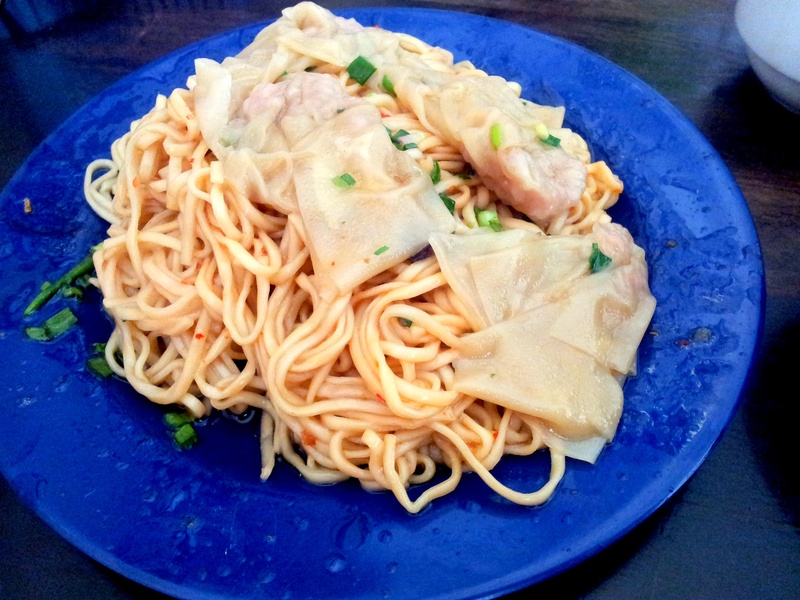 Unfortunately, this plate of Kampua mee with wantons left much to be desired. It was too salty and doesn’t hit the right spot. The wantons were all congealed with very little filling. Being the third day of CNY, most of our favourite Kampua shops are not open for business yet. The condition of the road to Sibu is pretty bumpy, no thanks to the recent rainy season. There were plenty of pot holes on the road so the driver (dad) had to remain hypervigilant. Anyway, we arrived safely (just) in Sibu, in just over 2 hours. And what greeted us at my aunt’s place was: You guessed it, more food! Another bowl of mee sua just a couple of hours before the dinner banquet. I think I have successfully prolonged my life (noodles signifies longetivity) by about 10 years. I believe I fell into a food coma after this, but we only had an hour or so to rest before heading off to the dinner. Droppy Eyed Zombie, messing with the camera while waiting for the others to be ready to leave. The dinner was very much standard Foochow fare at Hock Chu Leu (福聚楼) with Chicken Soup, Deep fried Eggs, Fried Mee Sua etc, but what really got us excited was this. I haven’t had this style of Sio Bee for the longest time and these are flavourful with nice thin skin. The Ou Nee was out of my expectations and I couldn’t stop reaching for more. Simplicity at its best. We managed to get some leftovers too because there were a couple of tables empty. Food coma ensued, once again, and I was already fast asleep by 11pm, most unusual. We had to drive back to Bintulu the next morning as the three of us were leaving to KL that very evening. Of course, one does not go to Sibu without having Kampua mee. We wanted to go to Rasa Sayang as according to Arthur and Huai Bin they serves really good Kampua, but alas there were just way too many people. So we made a detour to One o One Cafe instead, which was quite busy too but we didn’t have to wait too long for a table. Much better Kampua compared to the one in Bintulu. This definitely hit the spot with the right amount of seasoning (I did add a little bit of soy sauce as I like it dark) and the aroma of pork lard. Even the lean char siew slices tasted pretty good. This was only RM2.80 and that’s CNY price too. Usually you’ll only pay about RM2.30 to RM2.50 for a plate of Kampua in Sibu (the price is slightly higher in Bintulu I believe). So that was our short but sweet trip to Sarawak. In between the eating we did find time to visit our local market and supermarket to stock up on some food items. 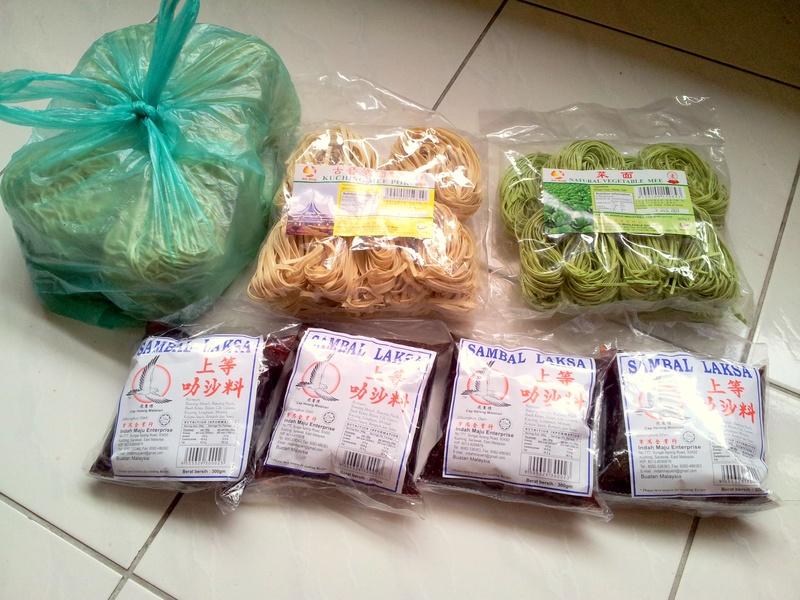 Noodles, more noodles and Packets of Laksa Paste! Well, good news for you! I’d like to giveaway 2 of these lovely packets of Laksa Paste. All you need to do is to leave a comment and tell me which Sarawak dish is your favourite, or that you are most curious about. Do indicate that you would like a packet of Laksa Paste too so I know who to include. It also won’t do you any harm to like my music page here: http://www.facebook.com/kellysiewmusic as you will be able to help me reach my goals. You have until 24th February, so comment away! Open to Kuala Lumpur/Selangor readers, or those who thinks they will be able to pick up from me personally sometimes soon. Meanwhile, you can also take a look at my Sarawak Laksa recipe. For a good summary on Sarawak food, visit Feat of Feasts for the Malaysian Food Fest Sarawak Month Round up! Leave me out for the giveaway – I’ve lots here. Hehehehehehe!!!! 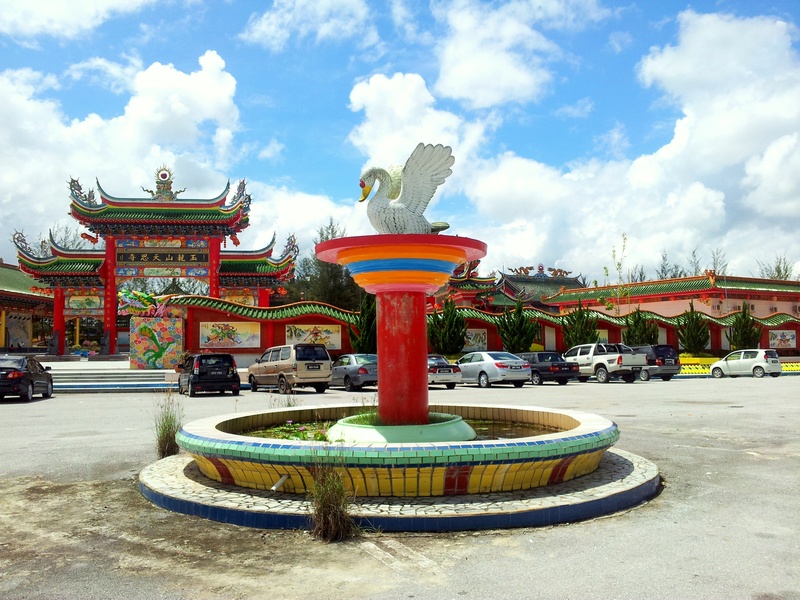 Those sio bee – many will tell you they’re the best in Sibu. My cousin came to town from Kuching and she went to buy once – RM1.20 each, frozen…and RM1.30, steamed. She said they were just so-so…but she only ate them a couple of days later – after she got back to Kuching. I’ve not eaten them for years and years – yes, they used to be very nice…and they were only 50 sen each a long long tome ago.. At the current prices, I think I would give those a pass. Hmmm…going out for dinner with Huai Bin tonight. Maybe we can drop by for this. Hope they have dinner for walk-in diners. I love that too!!! Never mind even if I’m full from a heavy dinner…just can;t stop scooping more and more! Yeah!! You have plenty of access to Sarawak Laksa. Do not go to One o One for it though, the day we went, it was horrible, with unfresh prawns. I finished the sio bee I brought back to KL, they were still very good! I still have quite a bit of Ou nee left too, hehehe. Maybe you can just buy some to take away. Hehe. Say hi to HB for me then. Never a fan of 101 and even less, after the shooting incident. Who knows? May encounter things that go bump in the night? LOL!!! Oh I heard about the shooting! Poor girl. Too bad you only stayed a day with Sibu or we could have all gone out for dinner! 101, wanted to go there one morning but it was closed. The shooting was unfortunate, the people always eat there at the same time and goes to The Base (a club beside 101) at night. wide web and on web I found this web page as a finest website for most up-to-date updates. Love to include Australia readers but I’m weary of sending food items over mail. Thanks for your comment though! It was a bit of a rush, but good trip nonetheless. 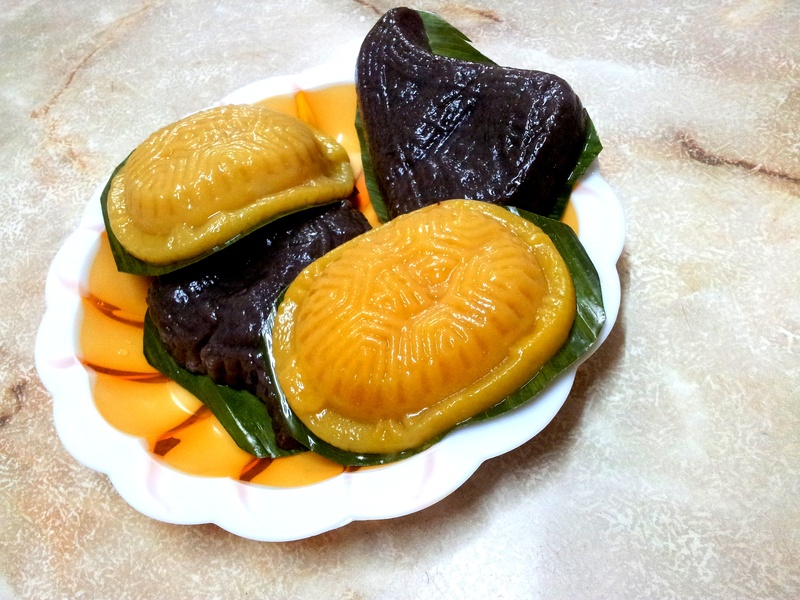 She makes all sorts of kuehs too especially during Chinese New Year, and also the best bak zhang. I’m lucky to have such an amazing teacher. Hehehe. Oh my. 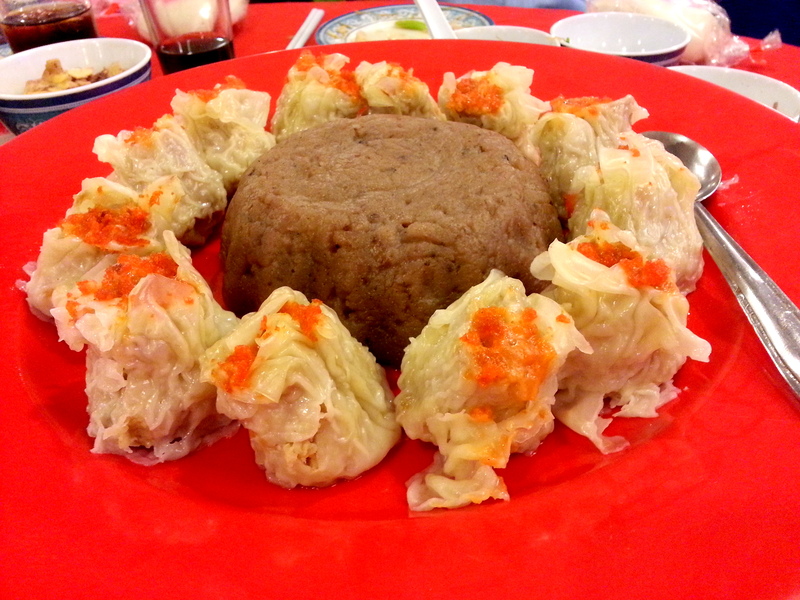 Reading your post makes me miss good old homecook kuching food….My grandma lives on that side of Malaysia too but sadly i couldn’t visit her this year. I really miss Sarawak Laksa from Kuching. Other than Aunty Christina Laksa in Bangsar, good laksa is so hard to come by! I really should try mastering Sarawak Laksa one day…. There are actually quite a few places in KL/PJ that sell pretty good laksa and kolo mee, but the foochow version are much harder to find. I take it you are joining the giveaway? Cooking the laksa with e paste can yield pretty good result as long as you get the ratio of the coconut milk right (according to preference too, of course). I believe every family cook their ang jiu chicken soup in a different way. But the method of making ang jiu is the same. 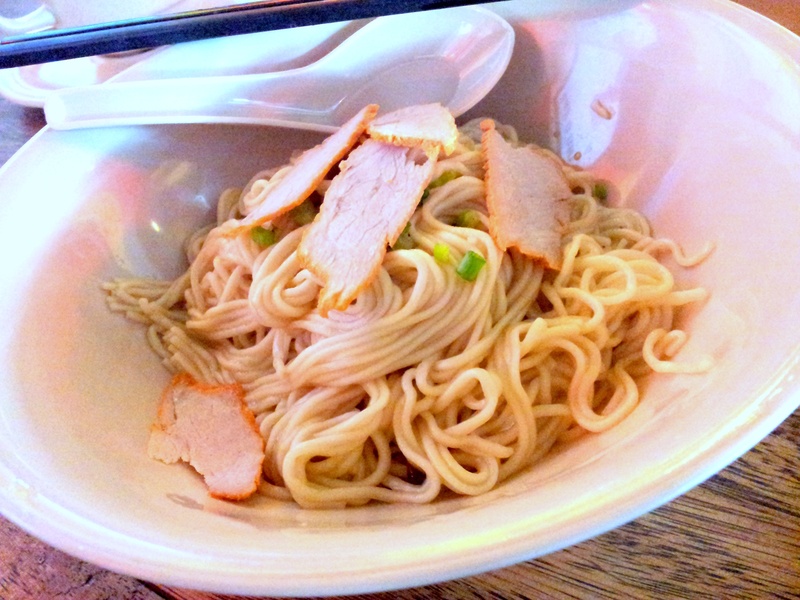 The sitiawan mee sua looks a bit flatter and bigger? 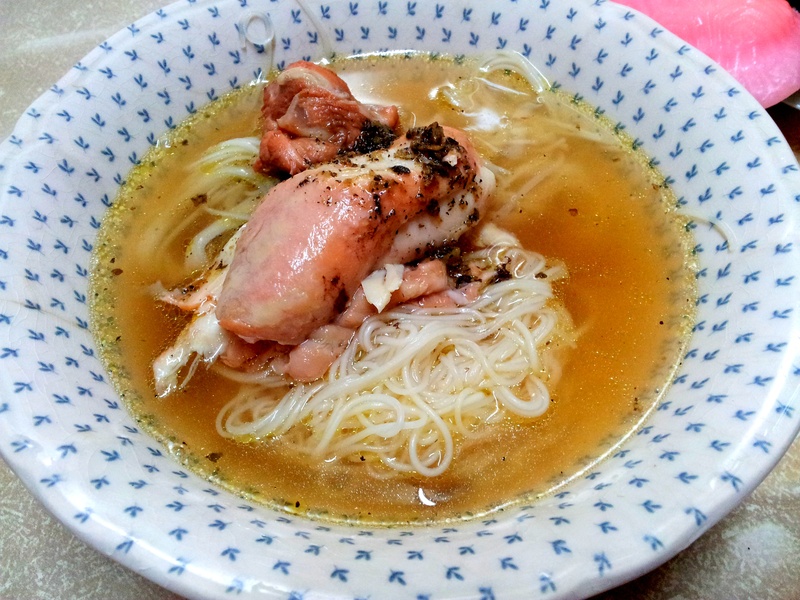 I think Sarawak version tends to have thinner round mee sua. Looks delicious all the same! Hi Kelly! I can tell you had a wonderful time back at home! Did you meet up Arthur? Ya…we merely communicated via Facebook while she was in town and I told her about the sio bee that she fell in love with at first bite! Gee! Technology. Hahaha yeah! Says how bored I was at the dinner too. Should have invited me. I would be a barrel of fun! LOL!!! Hahaha I wouldn’t dare to ruffle my dad’s feathers. He might even think the wrong way after all I do have a liking for older men. Lol! Until I’m satisfied with my singing career and all my goals have been achieved. Album launch, personal concerts etc etc. 😀 Since I have taken the time to do this, I need to do it properly. Awwww thank you so much! I am quite happy with what I have achieved so far, but looking forward to more good things to come! Thanks for your support! I believe the taste of ang jiu chicken soup is so unforgettable. I have the recipe for the wine, just gotta find my motivation (and a nice glass jar) to start! Gosh u r such a lucky girl! Get to eat all my favourites.. i love kampua and I love the yellow savory angku! yay! Looks like very filling meals. Definitely! I was in pain after dinner haha, my stomach is too small. Nice! Your grandma makes her own red wine! 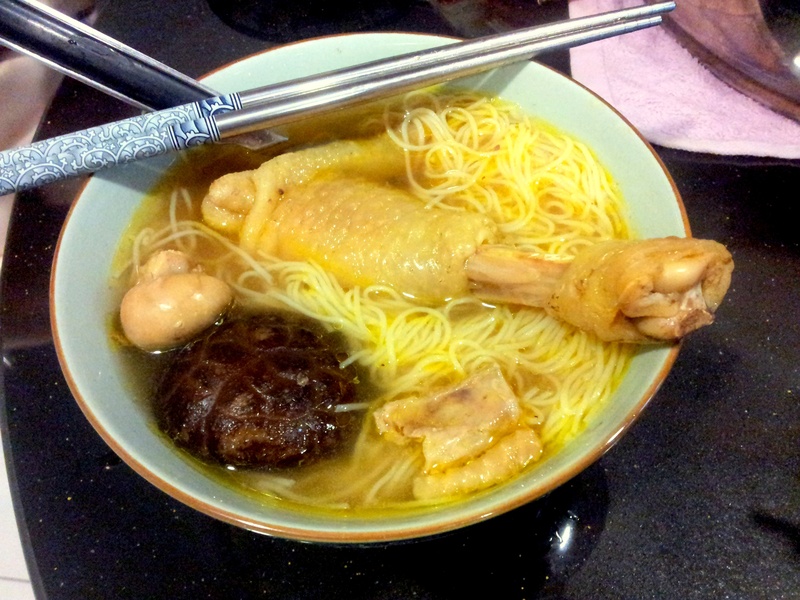 I like eating mee sua like that too but Heng Huas eat it tossed with lard instead of in soup. I thought we were at the same place coz the 80th birthday was at the same night in Sibu and I saw your dish on Facebook. Haha! I had the same one. Have so much nice food! Envy! Mee sua is so comforting to eat. I actually had 3 bowls, the first bowl I cooked for my family st home but didn’t snap a good pic. Hehe. Ooh enjoy! I’m still trying to lose the mee sua weight! on the topic of this piece of writing, while I am also eager of getting know-how. with images and video clips, this site could definitely be one of the greatest in its field. needed. I most definitely will make sure to don?t overlook this web site and give it a glance regularly. its always a great time when food is involved, especially ones homecooked with love! Everything from your GM looked awesome, especially the Ang Jiu chicken soup noodle. Yeah I think Sio Bee with Or Nee is strangely a foochow combination. That was the first time I’ve seen it too. My grandma is really an amazing cook, that lunch was also impromptu btw: she’s always ready to produce a feast! I have never been to Bintulu or Sibu before! Hehe nothing much to see but plenty to eat! Once more, Sarawak is flooded with food here and there. How I miss the Kampua Mee in Sibu although I reside in Kuching. Kuching Kampua Mee lack of that Sibu ingredient. My partner and I, flew to Sibu just to hunt for Kampua Mee during our holiday season last Christmas. Anyways, just would like to share. We took MASwings flight and it was awesome. Memorable trip indeed. How was it memorable? That my friend, you need to try it out for yourself. Cheers! 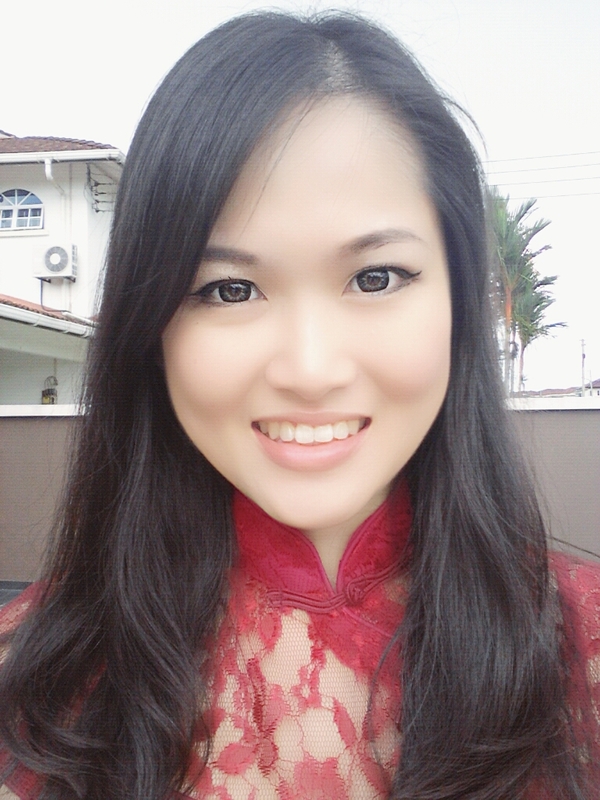 Hi there.. I’ll be sent to sibu for 10days.. Any good chinese food (non-halal) around RH hotel? Not sure if its only me or many of the chinese shops seem to be closed at night.. I’m from kl so my taste buds can be said to be pretty sharp (my office is in kl town so i enjoy pretty good stuff everyday).. If however you are one of those athletes who truly dose love the game you have your first reason why you should join a club basketball program. Plastic is much cheaper, but let’s face it, playing on a plastic backboard is nothing compared to playing on glass backboards. Whatever it is basketball jerseys have become a pillar of fashion not just in basketball but everywhere where basketball is played. .. Superb .. I’ll bookmark your web site and take the feeds also?